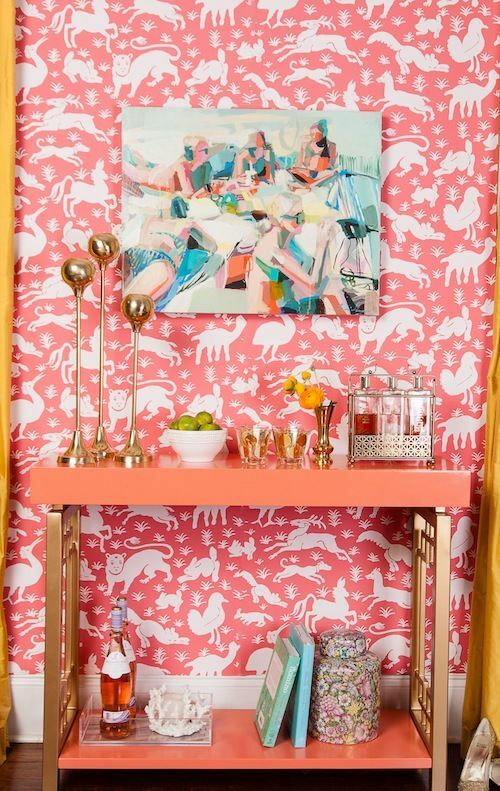 Pink isn’t just for Valentine’s Day, and it’s not just for little girls’ rooms, either. The color is undoubtedly feminine, but it can be sophisticated and rich. Check out the terrific use of the color in these interiors. 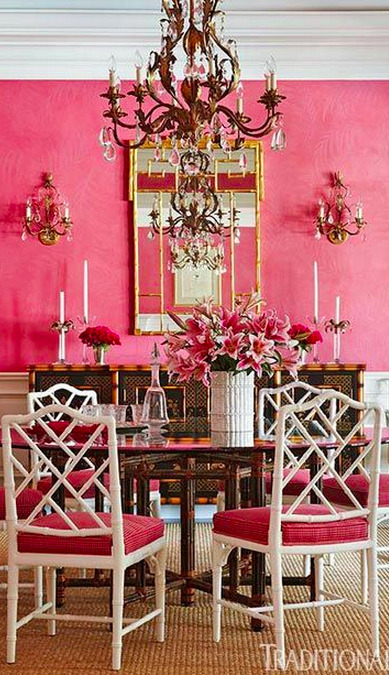 I’m in love with the pink used in the dining room with the Chinese Chippendale chairs. But I’d also take a pink sofa any day! A little pink decor in a house full of boys could help keep me sane! 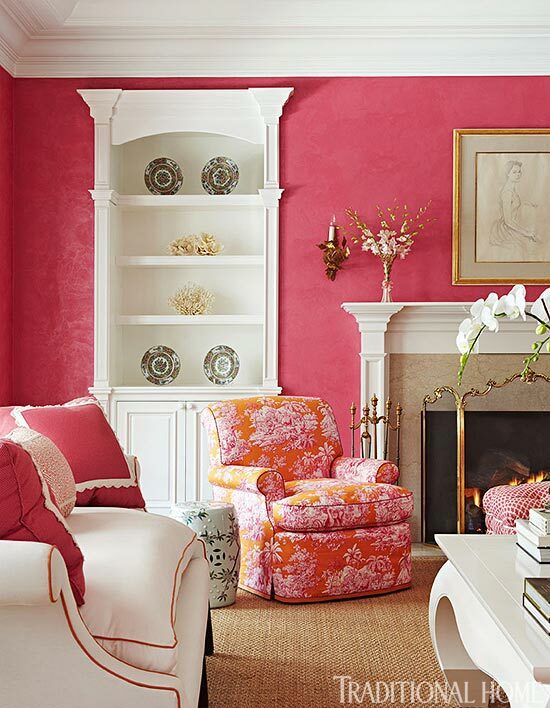 Do you decorate with pink? If so, where and how? Wishing you a wonderful Valentine’s Day full of love and friendship! The walls of my formal living room (and ceiling) are a very pale, dusty pink. My husband loves it and so do I. I also have a powder room with a bolder pink on the walls. I think I need a pink settee in my life at some point soon. Kristen I love the deep saturated pinks! Wow… those are seriously sophisticated pinks. Love it paired with all that dark wood! I couldn’t agree with you more on this! However, it would take more than these pretty pics to convince my boys to have it all around the house! LOL!